Definition at line 30 of file flow-util.h. Referenced by FlowHandlePacketUpdate(), FlowInit(), and UTHBuildPacketReal(). Definition at line 131 of file flow-util.h. 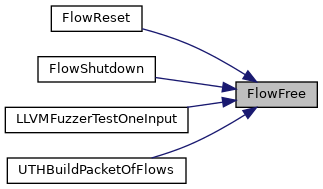 Referenced by FlowAlloc(), FlowInitConfig(), FlowSetupPacket(), FlowUpdateState(), and TmModuleFlowRecyclerRegister(). Definition at line 115 of file flow-util.h. Referenced by DetectBypassRegister(), DetectDceIfaceRegister(), DetectDceOpnumRegister(), DetectDceStubDataRegister(), DetectDNP3Register(), DetectDnsQueryRegister(), DetectEngineInspectENIP(), DetectEngineInspectModbus(), DetectEngineStateResetTxs(), DetectFlowbitsAnalyze(), DetectFtpbounceRegister(), DetectHostbitFree(), DetectHttpRequestLineRegister(), DetectHttpResponseLineRegister(), DetectLuaRegister(), DetectPcrePayloadMatch(), DetectProtoContainsProto(), DetectSshSoftwareVersionRegister(), DetectSshVersionRegister(), DetectSslStateRegister(), DetectSslVersionRegister(), DetectTemplateRustBufferRegister(), DetectTlsFingerprintRegister(), DetectTlsIssuerRegister(), DetectTlsJa3HashRegister(), DetectTlsJa3StringRegister(), DetectTlsSerialRegister(), DetectTlsSniRegister(), DetectTlsSubjectRegister(), DetectTlsValidityRegister(), DetectTlsVersionRegister(), DetectUricontentRegister(), DetectUrilenValidateContent(), FlowFree(), FTPAtExitPrintStats(), IPOnlyAddSignature(), RegisterDCERPCParsers(), RegisterDNP3Parsers(), RegisterENIPTCPParsers(), RegisterModbusParsers(), RegisterSSHParsers(), RegisterSSLParsers(), SMTPParserCleanup(), TagTimeoutCheck(), and TmModuleFlowRecyclerRegister(). Definition at line 39 of file flow-util.h. Referenced by AppLayerParserStreamTruncated(), DetectBypassRegister(), DetectDceIfaceRegister(), DetectDceOpnumRegister(), DetectDceStubDataRegister(), DetectDNP3Register(), DetectDnsQueryRegister(), DetectEngineInspectENIP(), DetectEngineInspectModbus(), DetectEngineStateResetTxs(), DetectFlowbitsAnalyze(), DetectFtpbounceRegister(), DetectHostbitFree(), DetectHttpRequestLineRegister(), DetectHttpResponseLineRegister(), DetectLuaRegister(), DetectPcrePayloadMatch(), DetectProtoContainsProto(), DetectSshSoftwareVersionRegister(), DetectSshVersionRegister(), DetectSslStateRegister(), DetectSslVersionRegister(), DetectTemplateRustBufferRegister(), DetectTlsFingerprintRegister(), DetectTlsIssuerRegister(), DetectTlsJa3HashRegister(), DetectTlsJa3StringRegister(), DetectTlsSerialRegister(), DetectTlsSniRegister(), DetectTlsSubjectRegister(), DetectTlsValidityRegister(), DetectTlsVersionRegister(), DetectUricontentRegister(), DetectUrilenValidateContent(), FlowAlloc(), FTPAtExitPrintStats(), IPOnlyAddSignature(), RegisterDCERPCParsers(), RegisterDCERPCUDPParsers(), RegisterModbusParsers(), RegisterSSHParsers(), RegisterSSLParsers(), SCSigSignatureOrderingModuleCleanup(), SMTPParserCleanup(), TagTimeoutCheck(), TmModuleFlowRecyclerRegister(), and UTHBuildFlow(). macro to recycle a flow before it goes into the spare queue for reuse. Note that the lnext, lprev, hnext, hprev fields are untouched, those are managed by the queueing code. Same goes for fb (FlowBucket ptr) field. Definition at line 81 of file flow-util.h. 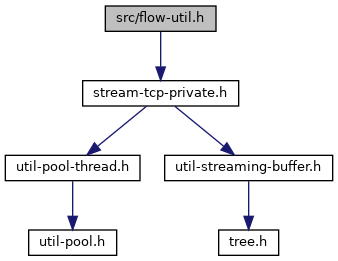 Definition at line 32 of file flow-util.h.